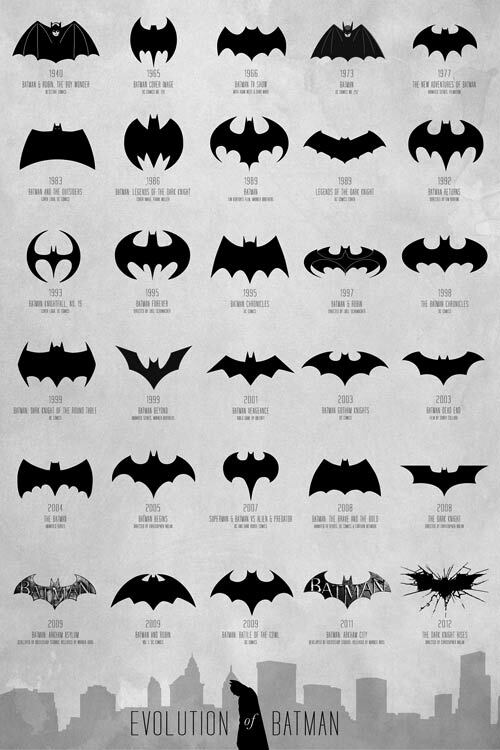 This website is dedicated to Batman films — from first full-length of 1966 to present day. Sombre like Tim Burton’s, bright and gay like Joel Schumacher’s, minimalistic like Christopher Nolan’s films. 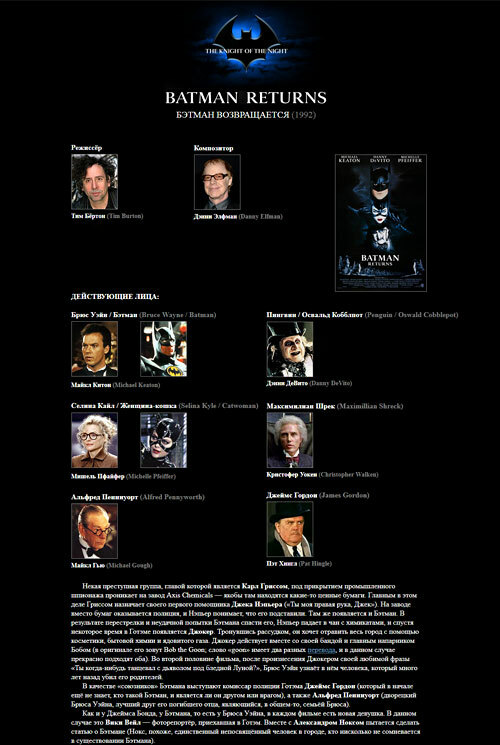 Website has photos of directors, composers and main characters of each film. 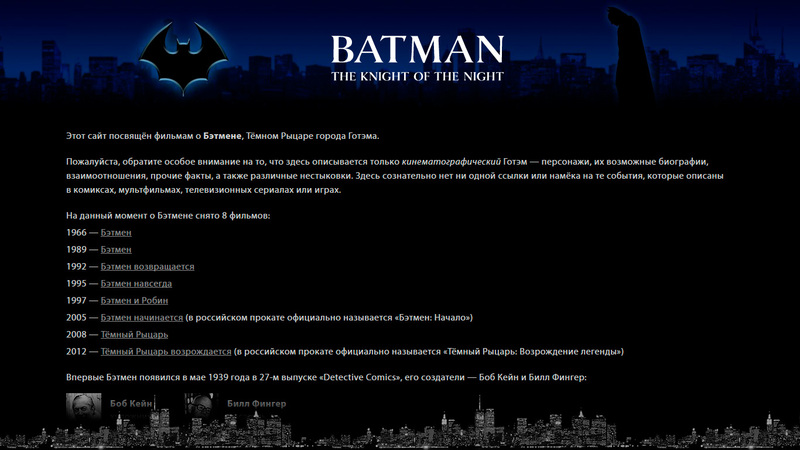 Flash animations in headers, Danny Elfman’s main theme on the main page. 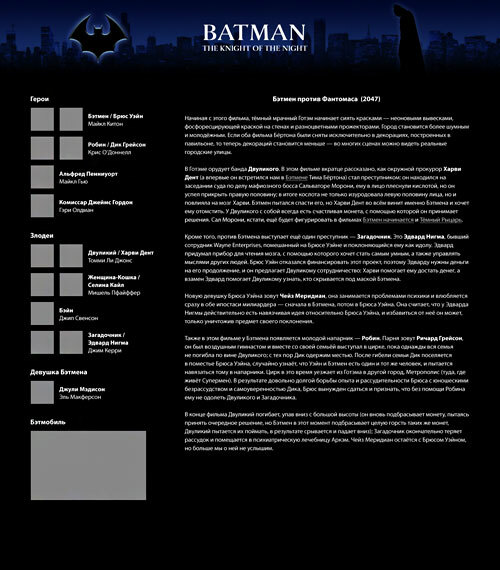 Website’s menu is located at the very bottom and appears from Gotham’s darkness like Bat-Signal. Puurfect. And when there will be to many films, we’ll add a beautiful scrolling to this menu. 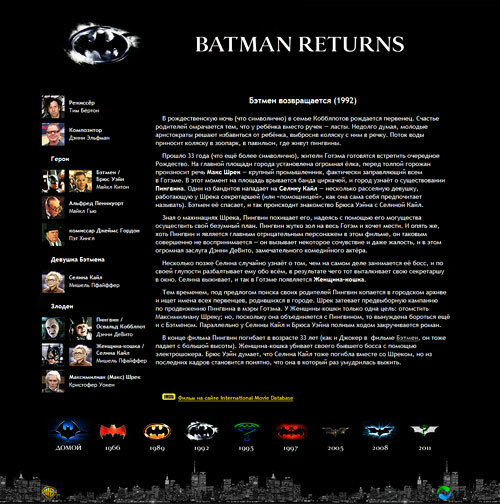 Other improvements are: we increased the size and changed the colour of the font for better visual perception; added photos of Batmobiles and winners of Oscar and Razzie awards; all headers are made using fonts appeared in films; and a lot of little bells and whistles.